You've found your fairy blog mother (or father)! My blog mother, and one to many, I'm sure, was Aby from You Baby Me Mummy and once she pointed me to the right place (Stop F, opposite the Costa) I was direct to Bloggersville, picking up bloggy BFF's along the way. So if you still feel like you're still in the bus station here are four tips to bonding with bloggers. TWEET LIKE NO ONE'S WATCHING - Sometimes twitter can feel like standing in a shopping centre shouting. Instead pretend you're at a coffee morning with a bunch of really cool people and you might relax a bit. Be yourself and encourage a few tweeps to get to know you better. GET LINKY - There's a linky for everything! You've got no excuse not to join the party but even if you don't have the time to participate linkies are a fab place to hang out and get to know bloggers interested in building a community. I regularly stalk my favourite linkies for like minded bloggers. CHECK THE ARCHIVES - When you find a blog you love, don't forget to dip into the archives. That way you can really get to know the writer and what interests them. It will be easier to connect if you understand what's important to them. SEND CARBS - Never underestimate the power of carbohydrates. I have not yet found a predicament that could not be fixed with carbs. Baker Days offered me the opportunity to send some cake direct through the letterbox of my chosen recipient. I decided to target the super supportive Misunderstood Mummy. Baker Days letterbox cakes are perfectly proportioned for one or two people. As the name suggests they can arrive through the post just like a birthday, bar mitzvah or blimey are we still married card. You can edit your cake design on the site and they'll show you a really accurate preview. Whilst your preview is loading a little cartoon baker does a dance. I did this several times because I enjoyed his moves so much. They deliver within five days but you can also request an express delivery which is perfect for 'I totally didn't plan anything for you but I still want you to respect me' people like me. Misunderstood Mummy tells me that the cake arrived straight through her letterbox, so no interaction with her dodgy neighbour, and was a delicious tea time treat. I'm sure she'll happily be my bloggy BFF; I'm currently making her a three colour loom band. If you want to dazzle someone with carbs please enter the competion below and make sure you stop by Baker Days to check out that little dancing baker! You are so lovely! i love cake, especially surprise cake! 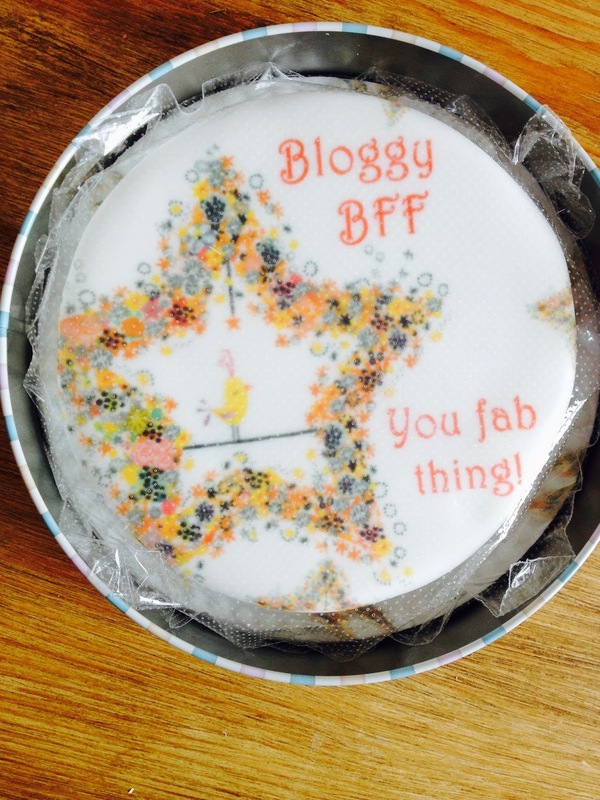 Il definitely be your bloggy BFF. Great advice and those cakes are so very yummy!